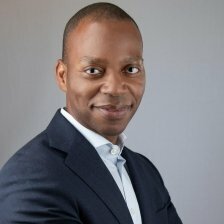 As a versatile CEO and entrepreneur, John Belizaire has successfully founded, built, scaled and sold industry leading B2B software and technology-driven startups that have transformed the marketplace in diverse new product categories, delivered double-digit rapid profitable growth, and driven commercial enterprise value. John’s expertise as both a highly effective business leader and technology strategist has enabled his new venture and operational success steering complex initiatives from concept to funding to launch to growth. With a foundation in leading edge technology at Intel and a Master’s in Engineering from Cornell, John has envisioned, developed and implemented disruptive, transformational industry-specific global technology solutions and holds two patents. In 2006, John co-founded FirstBest, a provider of a suite of transformative insurance underwriting software solutions and services, where he led the development of a suite of patented technologies and a SaaS insurance business model generating recurring revenue from Day 1 that automated complex manual processes improving quality, outcomes, and profit across the financial services value chain. As market facing CEO, John raised multiple investment rounds from venture firms and strategic investors, led all company operations, and grew the company 20% year over year from startup to the #1 player in the market and recognized industry leader in Underwriting Workstations software. In 2016, FirstBest was sold to Guidewire, the global leader in P&C enterprise software solutions, for over $40 million. Prior to co-founding FirstBest, John was senior director of business development and strategic planning for BEA Systems e-commerce applications division where he grew annual revenue to over $150 million. Before BEA, he co-founded The Theory Center, a leader in Java-based component software for enterprise e-commerce applications. As CEO, he grew the company from inception to $15 million in three years and drove sale of the company to BEA Systems for over $160 million. John began his career at Intel where he was lead architect for Intel’s digital enterprise group and led the industry’s first implementation of network quality-of-service technology for personal computers. With experience across diverse industries and domains including Insurance, FinTech, and Telco, John has also had equal success recreating early stage companies not effectively commercializing their business strategy or executing well. As a Partner in NextStage, a private investment group he co-founded in 2002, he provides strategic guidance and operational expertise to other exceptional seed and early-stage information technology companies to enable growth and prepare for ultimate sale. John is also passionate about disadvantaged youth and has been a Board Member of the Bert Corona Leadership Institute, a non-profit providing experiential training in civics, leadership and workforce development to marginalized youth in the US and abroad. As a Volunteer for the Harlem Academy, a private school for gifted children from underserved communities, John taught the inaugural entrepreneurship program and was named to the Board in 2016.